Say what you will about the man, but Barack Obama is one of the most successful leaders our Nation has ever known. The former attorney, Senator and (most famously) Community Organizer, along with his lovely bride, Michelle are experts on everything from finance and nutrition, to education and Sports. If I had known rabble rousing made you the smartest guy in the room, I’d have probably taken up the sport myself! But whatever Barack Obama was, he has been elected to occupy the chair of the most powerful leader in the world…The President of the United States. And lead he has! Contrary to the beliefs of many of his detractors, President Obama has proven to be one of the most dedicated and successful leaders in our Nation’s history. Let’s take a minute and examine a few of his accomplishments. – He has led the country into 17 trillion dollars of debt. 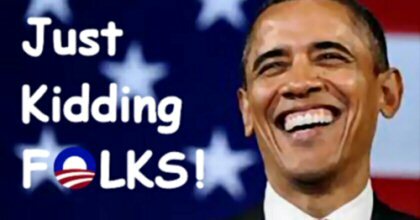 In the time Obama has been in office, the National Debt has risen over 7 trillion dollars. In perspective, the man who lambasted President George W. Bush for his tremendous debt-building skills raised the debt himself by more than 50%. It took nearly 230 YEARS for our Nation to incur the amount of debt this President racked up in just 5 years! Bravo, POTUS!!! – His failed Middle Eastern policy has helped to lead the Middle East into a state of confusion and tumult. Not only did our President support the Arab Spring, (really turned out great, huh), it appears he has also been arming Al Qaeda in Syria (you know… the guys who killed nearly 3000 US citizens). – He’s successfully led the US into a near economic collapse and the highest unemployment numbers since the Great Depression. He boasts a roughly 7.6% unemployment rate. But when you “un-fudge” the fudged numbers, it’s closer to 14.3% (we know what those “shovel-ready” jobs been “shovelin'”). – He’s led us to the brink of another cold war with Russia. In the process, he has also led ex-KGB thug, Russian President Vladimir Putin into the limelight as the Great Conciliator (Way to go, Barry!). – He has led the Government of a Country founded on the principles of Scriptural law into a war on Christianity that condemns Christian standards while elevating radical Islam. 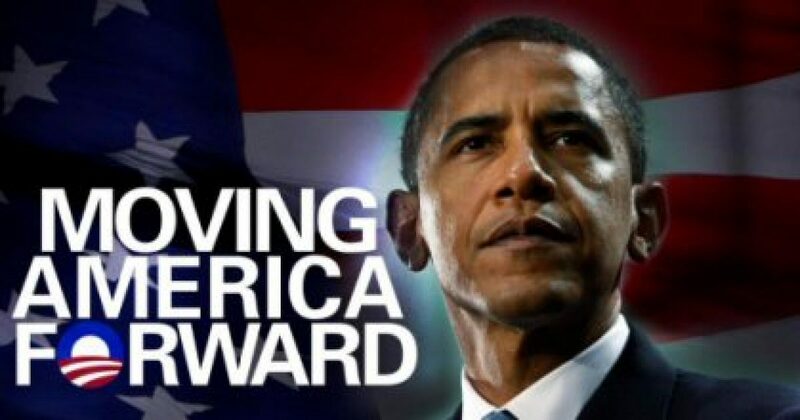 – He’s led American’s to the Welfare lines with a stunning 32% increase in current Welfare recipients. – AND he has single-handedly done what Jesse Jackson and Al Sharpton have not been able to do… He has led the United States into a racial divide rivaling that of the 60’s. Barack Hussein Obama has been one SWELL LEADER!!! Stop dividing America and lead, President Obama! Lead according to the Constitution you swore an oath to uphold!!! In closing, I have a request for our dear leader. Mr. President, why don’t you do something worthwhile and make something of the opportunity you’ve been given? The Greatest Nation in the World!